Both new books and classics are challenged each year. 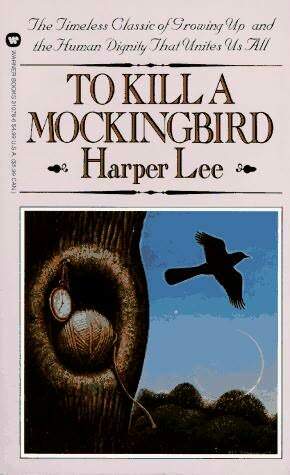 Both “Catcher and the Rye” and “To Kill a Mockingbird,” English class staples, made the 2009 most frequently challenged book list alongside the Twilight series, The TTYL series, and many others. Most of the books are kidlit/YA lit or books teens read in school. The list of frequently challenged classics is always my favorite list to peruse. How many of them have you read? I’ve read 31, most as school assignments. Even H.G. Wells is on the list. 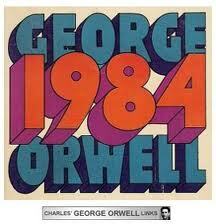 I think it’s ironic that “1984” is on the list–someone tried to censor a book about book censorship. The purpose of banned book week is to let people know that even in this day and age, censorship still exists in America. The first amendment is still questioned. During this week we try to get the word out that banning books is censorship, pure and simple, and it’s wrong. So what will you do to celebrate banned book week? I think I’m going to read some H.G. Wells. I would like to begin by saying while I revel in the science and enjoy the Victorian splendor that is in today’s steampunk, I find that there is often something missing…and it’s not steam…it’s steaminess. 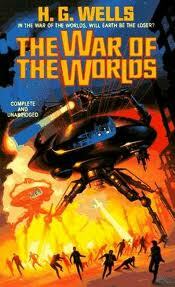 Now before you get your bustle in an uproar, take a look at some of the most celebrated authors of other science fiction and action genres, like James Rollins, Michael Crichton and James Patterson. More often that not, they include some relationship (dare I say romantic) element between their characters within the context of the story. And while steampunks are full of science and fantasy elements, I believe they would benefit from a heavier dose of the relationship aspects between the characters. Why? Because it’s human nature to be interested in the human condition. That’s part of what makes even dystopian fiction possible. There’s been a long-standing tradition among those in the science-fiction genre that says too much steaminess in a story somehow lowers its quality. Why? After all, when you read a book, is it simply because that character has the coolest raygun in existence, or is it because you actually are curious what will happen to the character once he shoots said raygun and mayhem errupts? When you meet a couple, do you ask how they met, or do you want to know how often they polish their brass buttons on their captain’s jacket to get them to gleam so well? Part of the reason I adore Gail Carriger’s steampunk Parasol Protectorate series is because of the relationship between her main characters. The first book especially got me hooked because there was an attraction between Alexa Tarbotti and Lord Macon that was nothing if not steamy. While the Victorian era was indeed a little more straight-laced about the kinds of affections that could be touted in public, we must remember that this is steampunk. Perhaps being a little steamier requires us to be a little more punk about our perceptions of the era and let those relationships out in the open. After all, if a woman can wear her undergarments on the outside without steampunk social circles batting an eyelash, why should we not have more steaminess in our steampunk stories? What do you think? 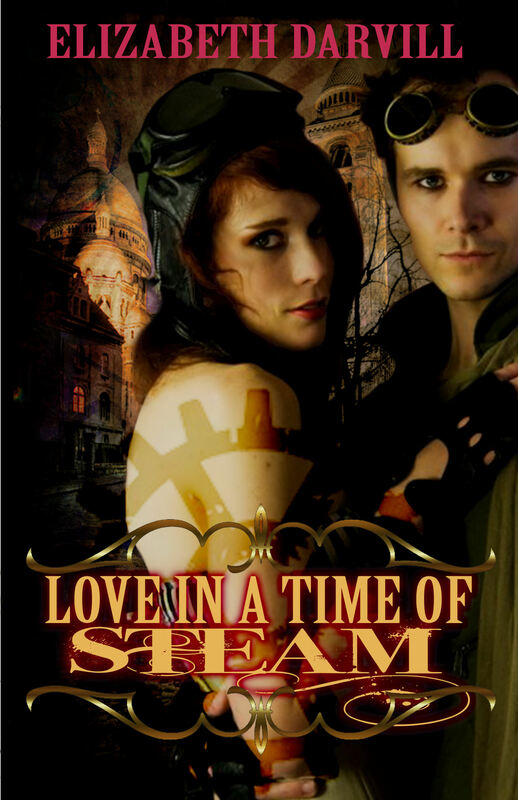 Are you for more steam in your steampunk or not? Does that mean that they couldn’t eventually get or enjoy Steampunk? Yes, I think they can. The very reason why is also the reason why I love Steampunk–the sheer depth and breadth of the genre. Not everyone might enjoy writing–or reading–Steampunk. But Steampunk extends so much further then just the written word. Also, just because I don’t knit doesn’t mean I don’t enjoy handknitted things. Of course, it also means I don’t like every hat someone knits. I have to figure out what I like. The same things goes for Steampunk. Maybe they’d be inspired by the sounds of Clockwork Cabaret or Abney Park. Perhaps it’s the handcrafted jewerly that has them scouring Etsy for the newest creations or flocking to flea markets for broken pocket watches to male their own. There’s more than jewelry–there’s tatted lace, tiaras made of clockhands, and hats. Someone who loves hats–the bowler or the derby or even the cloche–might appreciate the simply elegance of a grey silk top hat or a black derby festooned with feathers and a small veil. The fashion of Steampunk can be spectacular. Someone who’d always loved Victorian elegance, the rustle of silk, the bounce of the bustle, wide ball gowns worn over a hoop, is bound to find something among the many made to order and off the rack Steampunk fashions. They might even get inspired to sew their own. Steampunk even has art, everything from big-eyed faeries to sweeping scapes. Don’t even get me started in the science and technology. That’s the heart of Steampunk. Build a difference engine or a raygun (it’s okay of it doesn’t work). Rip the keys off your keyboard and replace them with typewriter keys (or buy one.) Steampunk your car. Every single one of these holds variations from lowbrown to classy. The possibilities are endless. I’ve only began to touch on the many facets of Steampunk. So, yes, Steampunk really has something for everyone. You just have to look. Another important issue came up during the Steampunk panel I was part of at the RWA 2010 National Conference in Orlando–the darker side of Steampunk. It can be very tempting to idealize and sanitize the Victorian era in our Steampunk stories. Depending on your world building, this approach could work. But the Victorian era wasn’t all balls and bustles and where I’m not saying we should scrap any sort of idealism, I’m saying that we shouldn’t always gloss over the grit. The Victorian era could be a dirty, smelly, place full of illness, poverty and despair. There was colonialism, imperialism, classism, child labor, and the oppression of women, among other things. Depending on the particulars of your story, many of the darker issues during that time can add dimension and grit to your world, plot, and characters, not to mention bring up some of the very real obstacles those who lived during that era faced. That’s not to say that you couldn’t play with these concepts, just like we play with everything else when writing any sort of alternate history, but it’s also important to not forget these themes in addition to the usual ones we’ve embraced so heartily. These themes can bring up interesting plots and subplots, taking the reader into places they have never been and allow them to explore issues they may not have thought of before. What would it be like to have your village invaded…or to be the invader but not sure of the cause? What was it like to be a doctor at a charity hospital, to work in a factory, or live in a slum? It cause also allow us to meet new characters from varied backgrounds who also have stories that need to be told. Who knows what the conquered child might become when they grow up and what lengths they may go to for revenge. What could a simple act of kindness–or acts of cruelly or antipathy–ignite under the right conditions? What of the street sparrow, the night flower, or the child who toils in the factory to feed their family? What was it like to be an actress, a seamstress, or a member of the fallen gentry? Like with anything else, you don’t need to necessary force these concepts into a story for the sake of inclusion, but it’s good to be aware of them. Don’t think you have to shy away from the darker side of Steampunk. Who knows what stories could these characters tell or what they could they teach the other characters…and us?